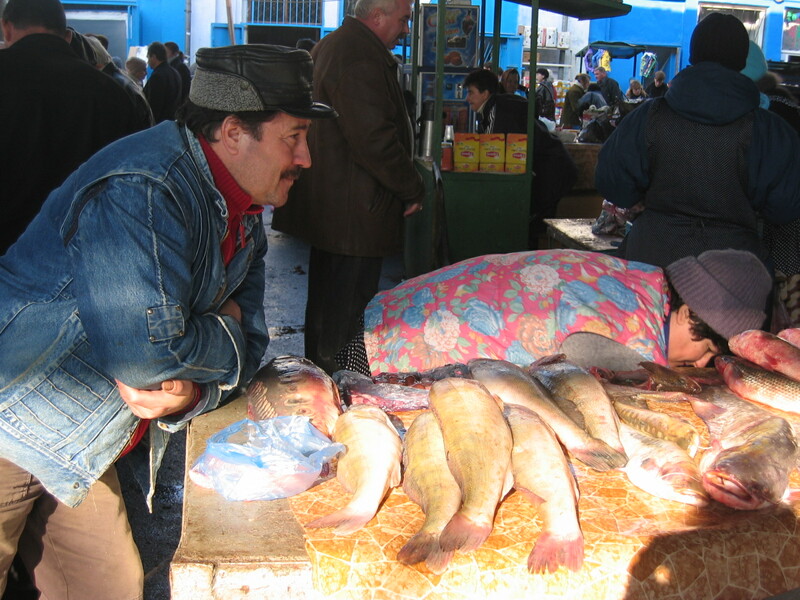 In the series of world’s most interesting food markets, I will take you to the Privoz market in Odessa, Ukraine. 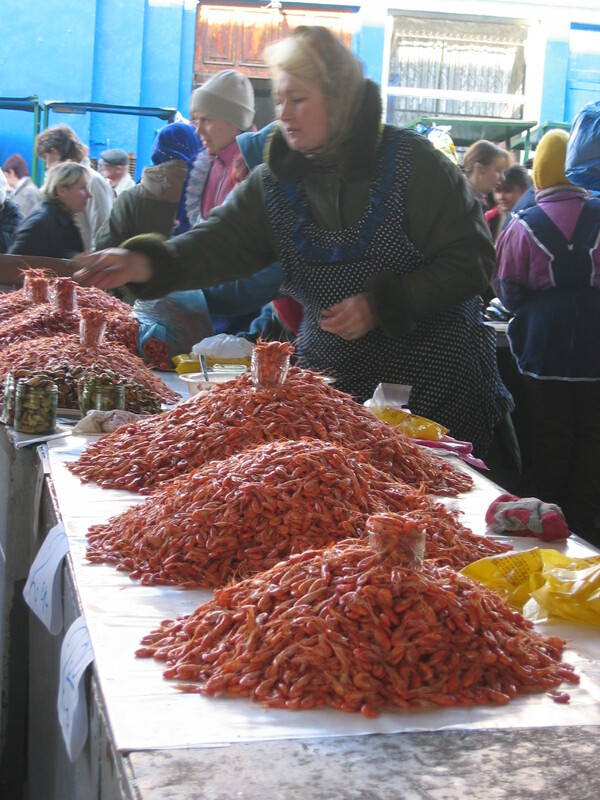 It is the biggest market in Odessa, probably the biggest in the entire Ukraine, and some say even in the world. I am not sure about its ranking, but Privoz certainly was on the top of our list when we were in Odessa in November 2005! Thanks to Odessa’s important trade links with the East and the West, this market, founded in 1827, soon became very popular. The timing was right, too. Eight years earlier in 1819, Odessa had gained a free port status. During 1823-4 the famous Russian writer Pushkin lived in exile in Odessa, praising the city’s European feeling. In fact, thanks to its openness, the city was quickly filling up with different nationalities: Tatars, French, Armenians, Azeris, Jews, etc. that all had something in common: they were doing business at the Privoz market. My trip to Odessa in 2005 was fascinating. The city reminded me of Istanbul: the fact it had been in contact with so many different nationalities, religions and cultures during so many centuries had definitely made its citizens open-minded, curious and very friendly. Odessa to me was much more of a melting pot than for example Ukraine’s capital Kiev, where I was working at that time. Even the faces looked different than those I had seen in other parts of Ukraine. And yes, quoting Pushkin, it felt very European. I realized that Odessa was a truly international city, and had been it for a long, long time. But back to the Privoz Market! We strolled around for hours observing and taking photos. Even if the Privoz market sells almost everything you could imagine from construction materials to Chinese clothes and fake DVD films, we spent most of our time in the food section. These photos give you a biased view of the food section’s offer but if you appreciate fish as much as I do, you will enjoy the photos I am sure. 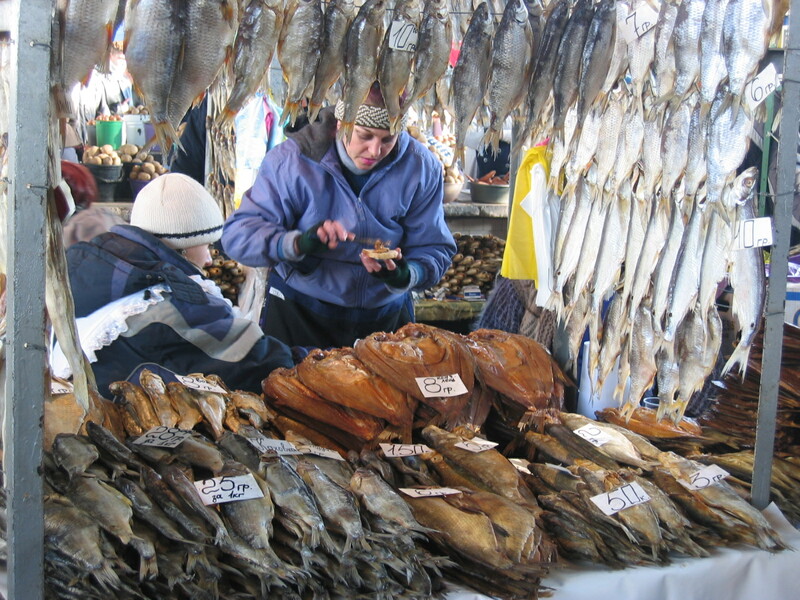 There were a dozen species of dried fish, ready to be eaten as a snack with a glass of vodka. Fish heads were huge and were certainly ready to be dropped in dill-flavored water to become a soup. Shrimps seemed very fresh, too, and I wondered how they would be served. 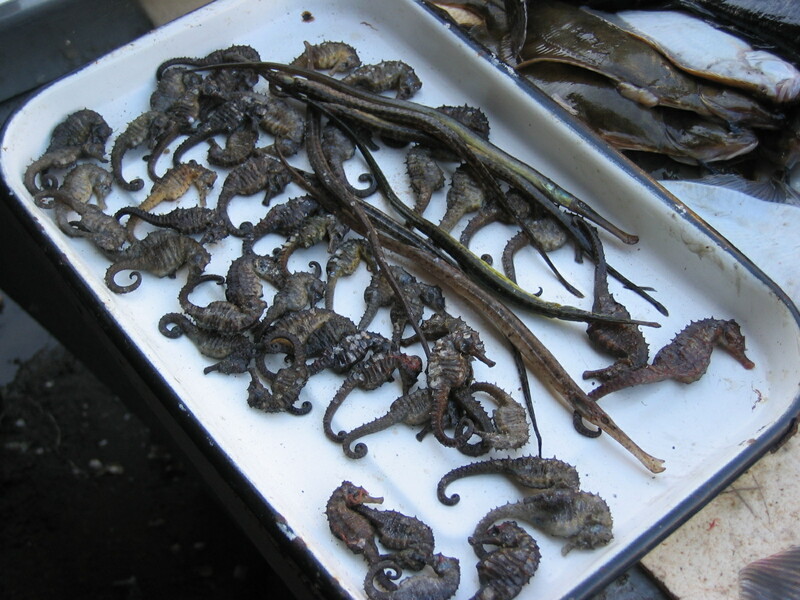 However, what most intrigued me were the seahorses. I knew the Chinese love them and use them in medicine to cure asthma, heart diseases, impotence and high cholesterol but I had not even known that the Black Sea has them… We did not buy anything from the market but it left a strong impression on us. I recommend everyone to visit it while in Odessa: the soul of Odessa waits for you at the Privoz market! During our visit in Odessa, we stayed at Londonskaya Hotel, open since 1827 (like the Privoz market). It is a fantastic old-school hotel, full of history and centrally located (http://londred.com/en). When it comes to eating out in Odessa, we only had positive experiences. However, one restaurants was above the others: Dacha (http://www.dacha.com.ua/en). It is a little bit outside the city center, but definitely worth the trip. PS Pearlspotting can now be found on Facebook, too! 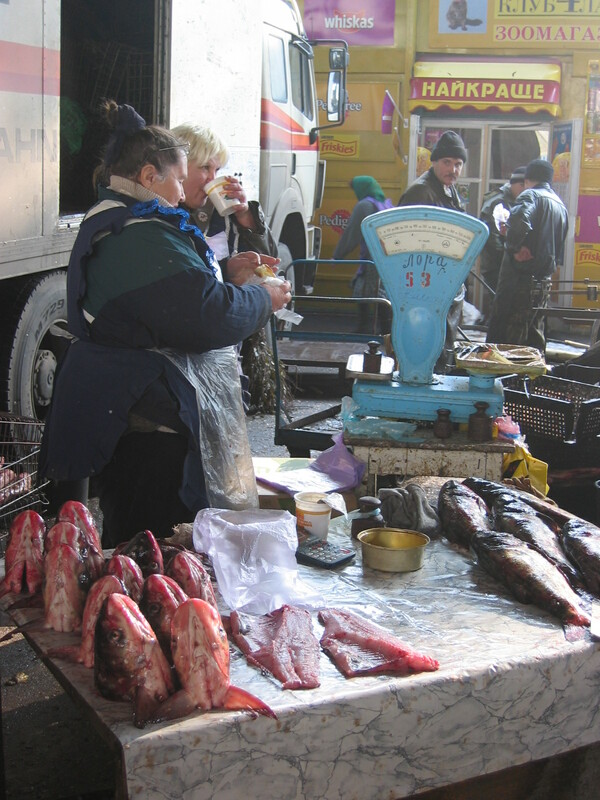 This entry was posted in Uncategorized and tagged food, market, Ukraine on February 1, 2013 by Miia. Hello to every body, it’s my first visit of this webpage; this web site consists of amazing and actually good material for visitors. Thank you, and hope to have you back soon! Thanks! Hope to have you back soon. Not a problem. Have a great Sunday!